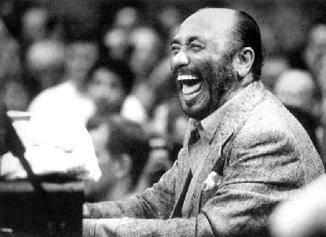 World-renowned pianist Eddie Palmieri's musical career spans 50 years as a bandleader of salsa and Latin jazz orchestras and his discography contains more than 32 titles. His music combines jazz piano and instrumental solos with Latin rhythms. Palmieri, who also served as a bandleader for salsa and Latin jazz orchestras, has won nine Grammy Awards, including the first such award for best Latin album. In 2000, he won a Grammy and a Latin Grammy for �Obra Maestra� (�Masterpiece�), a collaboration with Latin jazz and mambo musician Tito Puente Sr. Opening: LaVon Hardison�With an authentic, soulful sound, LaVon Hardison reaches audiences on a deep level. Singing as much for the heart as for the ear, she draws listeners in and leaves them savoring every song.